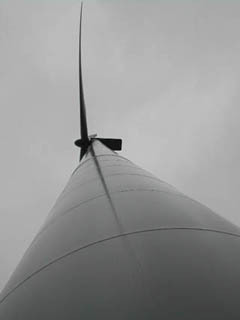 Just 45 miles south of Northfield, near Dodge Center, Minnesota, you can find the major wind farm closest to Northfield. This farm is still in the process of being developed. The first 10 NEG Micon 900-kilowatt turbines were commissioned in September 2002. As of the spring of 2005, roughly 69 megawatts of capacity have been installed near Dodge Center and in nearby Mower County. 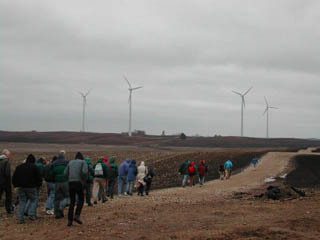 In February, 2003, RENew Northfield took a group of Rice County Planning Commissioners and Planning and Zoning staff members on a tour of this wind farm as they were considering a new Rice County wind energy ordinance. The commissioners and staff came away from the trip highly impressed with the facility and the promise of wind energy. The ordinance subsequently went through the Planning Commission and Board of Commissioners with unanimous support. 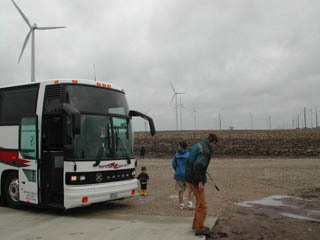 In May, 2002, RENew Northfield and the Carleton College Environment and Technology Studies program, sponsored a bus tour of the Top of Iowa Wind Farm. 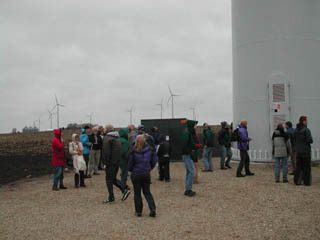 The American Wind Energy Association’s John Dunlop was the guide for the tour. The 45 folks who took part in the tour found it highly informative. The tour gave everyone a sense of how little noise is produced by these turbines (even on an extremely blustery day), and many commented on the elegance of these large turbines in action.